Located at 616 W. Virginia St in Milwaukee. 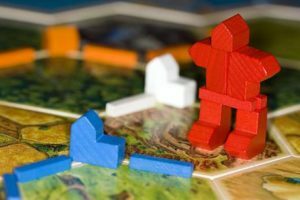 Visiting Milwaukee? Looking for a fun and informative tour? 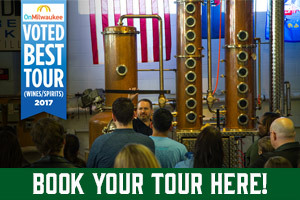 Our distillery tour has been voted Best Spirits/Wine Tour by OnMilwaukee.com and Shepherd Express Readers many years in a row. During our approximately 1 hour tour, visitors will learn about our award winning products, how and why we make them and receive a flight of six products to sample. Complimentary soda is available for non-drinkers. Tour and tasting cost is $10. Enjoy a cocktail in our tasting room before, during, or after the tour! View our cocktail menu here! IMPORTANT: To ensure your place on a tour click the Book A Tour button below to reserve your spot! Tickets are non-refundable, however, they are transferable. You may transfer your tour time up until 24 hours before your scheduled tour. Within the 24 hours, your transaction is non-refundable and non-transferable. We currently reserve some walk-in tickets for each tour. These are available only on the same day of the tour and you must be present to purchase. 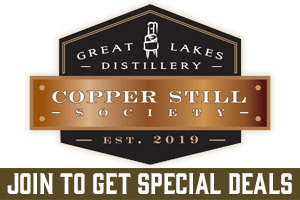 Purchase a Distillery Gift Certificate for family and friends. Reservations are available for groups of 15 or more on a very flexible schedule. Please call tour info at 414-431-8683 x111 to reserve a time and date, or send your information through our special events form. Use our unique space for your next get together. Details here. Great Lakes Distillery is a member of Travel Green Wisconsin. The tour includes an informative discussion on the distillation process and our distillery, as well as a full tasting of our award winning spirits. The tour/tasting is approximately one hour long. The tour I want to join is sold out online, are there walk-in tickets available? Yes, we hold 10 tickets per tour that are only available for purchase that day and in-person at our tour desk or bar. Walk-in tickets may not be reserved or held prior to the day of the tour. You may come in and purchase the walk-in tickets for that day anytime after we open our doors at 11am daily. Yes, anyone under the legal drinking age of 21 is allowed on our tour as long as they are accompanied by their parents or legal guardians. Yes, however, to join the tour, the guest would have to exit our main entrance and follow the parking lot down to our production floor door. There are two small flights of stairs from our tasting room to our production area. We do not have elevators in our facility. Can I drink on the tour? Yes! You can grab a cocktail in our tasting room before, during, and after your tour. Can I purchase your products when I visit for the tour? Yes, we have a retail area in our tasting room that carries all of our spirits, as well as t shirts, glassware, etc. 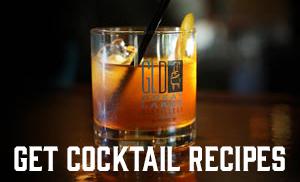 Great Lakes Distillery is located on the edge of Milwaukee's Walkers Point neighborhood and the Menomonee Valley just south of Downtown Milwaukee. Milwaukee's Latin Quarter- Centered around 5th and National Ave. and home to many excellent bars and restaurants. The Harley Davidson Museum- "Exhibits and events that celebrate the people, products, culture, and history which made Harley-Davidson the icon it is today". The Iron Horse Hotel- A modern luxury boutique hotel catering to business travelers and motorcycle enthusiasts alike. Potawatomi Hotel and Casino- Gaming, dining and national acts performing regularly with an attached guest rooms & suites. Need a hotel: Get great hotel deals at HotelsCombined.com Details here. Milwaukee's Third Ward- Entertainment, galleries, shopping and nightlife. Summerfest- The world's largest music festival! Brewhouse Inn & Suites- "What could be more Milwaukee than sleeping in a historic brewery where you’re welcomed by the by the stained glass visage of the patron saint of beer brewing?" DoubleTree Milwaukee Downtown- "Our friendly team is known for exceptional service that you are sure to remember. DoubleTree by Hilton Hotel Milwaukee Downtown offers a prime central location with proximity to shops, restaurants and attractions." Milwaukee Marriott Downtown- Transform your visit into a brilliant travel experience when staying at Milwaukee Marriott Downtown. Living up to our name, you'll be right in the heart of East Town, downtown's thriving district brimming with shopping, dining and entertainment.